Bill Sheehan, Executive Vice President of the Electronic Retailing Association announced this morning that the association will be terminating operations and closing down effective today. This is yet the latest chapter in an ongoing industry transition. Television is changing, direct response television is changing, society is changing. The only true constant is change. Growing up in this industry, I remember the days of ERA as a vibrant organization. For ERA’s 10th year anniversary, I received permission from the Venetian Hotel & Casino to bring in a film crew and shoot a tongue & cheek video. I played a character called, “The 800WEB guy” doing all kinds of crazy things the memories of which still turn my cheeks red. The scene where a female cast member and I were serenaded by the Gondolier who sang about our 800WEB business model is still rather fresh in my mind like fingernails on a chalkboard. We ran that video during the ERA convention which you could watch from the comfort of your hotel room. I didn’t always agree with everything the ERA did, and I wasn’t always a fan, but I’m grateful for the many experiences and memories. So in the spirit of fun, I share with you this ERA throwback from back in the days when Joseph Gray had hair. I do this in honor and in memory of our dearly departed Electronic Retailing Association. As for the future of the direct response television industry, one needs to look no further than DRMetrix’s most recent yearly industry study to see that the industry remains vibrant. https://www.drmetrix.com/2017study.html We expect with all of the new consumer targeting technology coming into the television industry, our best days as an industry lie ahead. 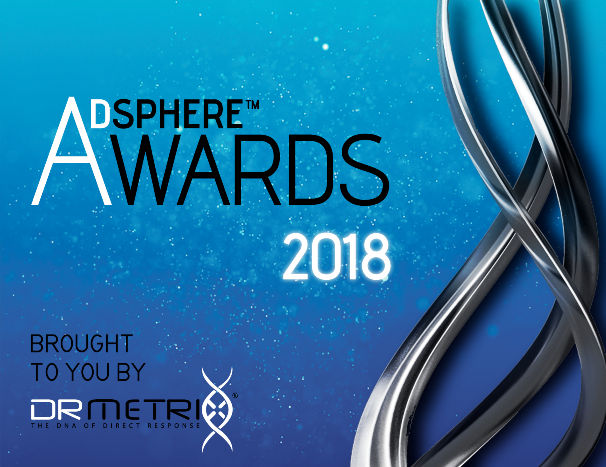 While the ERA Moxie Awards are no more, DRMetrix will continue to recognize top direct response television advertisers with our annual AdSphere Industry Awards.